“Winnie Mehta was never really convinced that Raj was her soul mate, but their love was written in the stars. Literally, a pandit predicted Winnie would find the love of her life before her eighteenth birthday, and Raj meets all the qualifications. Which is why Winnie is shocked when she returns from her summer at film camp to find her boyfriend of three years hooking up with Jenny Dickens. As a self-proclaimed Bollywood expert, Winnie knows this is not how her perfect ending is scripted. Firstly, I really adored Winnie. She’s super dynamic, down-to-earth, and knows what she wants even though she initially isn’t sure how to get it. Her relationship with her culture was layered and interesting, and it added a level of depth that isn’t always present in YA contemporary romances. My So-Called Bollywood Life is definitely a light read, but there’s a significant amount of sustenance to the story that I wasn’t expecting but absolutely enjoyed. The love interest, Dev, was equally endearing, and the lowkey plot-twist that gets revealed about him towards the end of the book honestly made me a bit shook. I really really liked their relationship and its arc over the course of the story. The only thing that I didn’t enjoy in terms of their relationship is when Winnie basically has to choose between the guy and her future/college. I feel like it’s not spoilery to say that she gets both (YAYYYYY), but I still didn’t like that she was forced to make that decision from the get-go. I also really liked the emphasis on family, and Winnie’s different relationships with each family member. Winnie’s relationship with her best friend was solid, but I wish it could’ve been explored a bit more. In addition, the antagonist in this story is your typical tropey mean girl, which isn’t necessarily a bad thing, but something that I noted. Compared to the rest of the characters, she was definitely the most underdeveloped. As I mentioned a bit earlier, the way that culture and family-dynamics are woven into this story are everything!!! I loved that aspect so so much, and the book is ownvoices so that’s a huge plus as well. 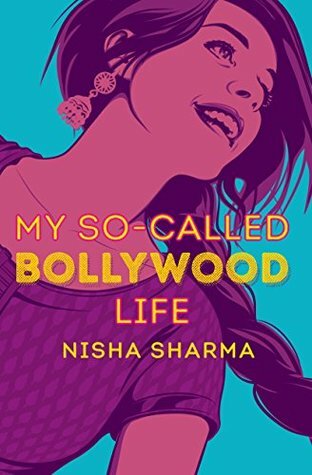 Overall, if you’re looking for a light summer romcom and/or are a fan of Bollywood movies, I’d definitely recommend reading My So-Called Bollywood Life. Also, more women of color in the film industry???!!! I’m always here for that. My So-Called Bollywood Life left a huge smile on my face when I finished reading it, and that’s a great thing for a story to accomplish. Thank you! I hope you enjoy reading it!